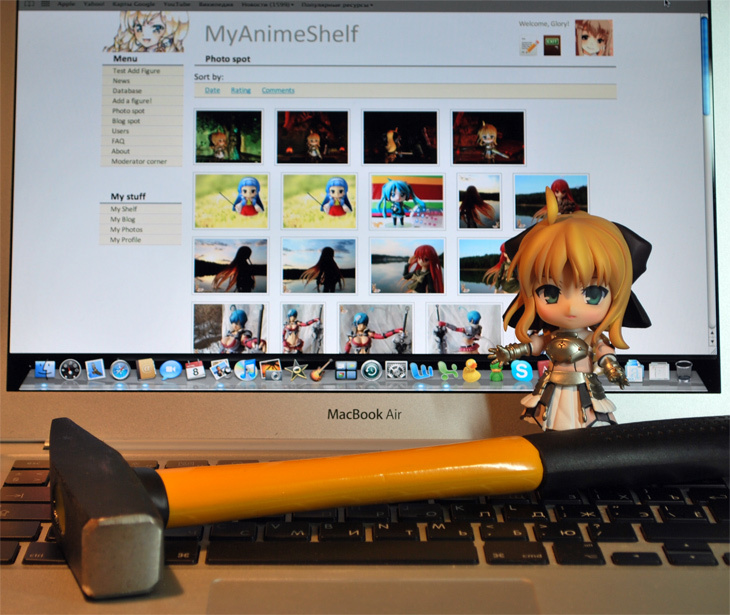 MyAnimeShelf is a new-born community where we go crazy about anime figurines from Japan. Our project could be interesting to people, who collect such figurines or consider buying one or two. But beware: figures are addicting in their own way! - find friends by rating and commenting users stuff. We are an international community, that’s why ‘shelf’s main language is English. However users are free to post in any other language if they like. I also have to warn you that MyAnimeShelf is still under construction. Bugs and creepy things are to jump out, sumimasen! We are looking for friendly and talkative community members (don't be shy!) and a designer/artist (to join the team).